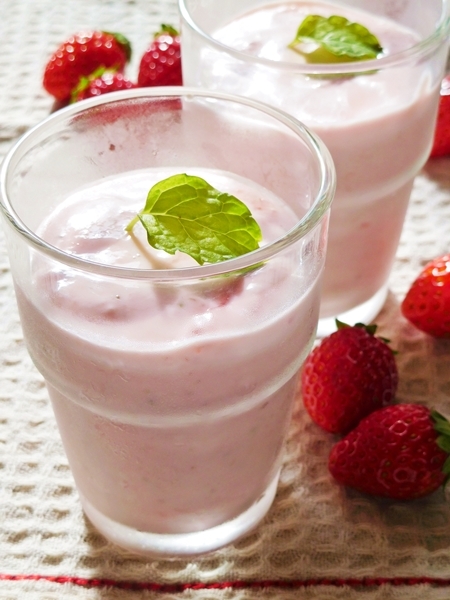 I’d like to introduce easy and low calorie English dessert “fool” today! I knew authentic fool is made from fresh cream, cream cheese and fruits. but I thought it high caroly because it made from fresh cream or cream cheese. I made it from Greece yogurt. Greek yogurt is very popular in here. but It expensive in here, that about 5$ for one pound. so, Some people has made it by themselves. plain yogurt is about 1.5$ for one pound, It is cheap! イチゴ・・100g(10粒程度)　/ 100g (about 10 ) strawberry. グラニュー糖（砂糖）・・大さじ３　/　3 TBSP sugar. レモン汁・・小さじ1　/　1 TESP lemon juice. 水切りヨーグルト・・１カップ　/ 1 cup of Greek yogurt. 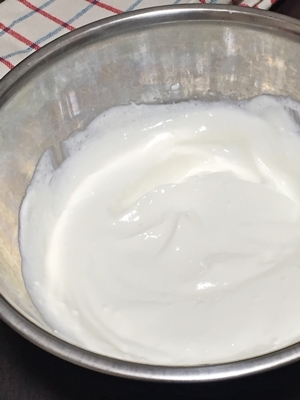 Put the Greek yoghurt in the bowl and whisk smoothly. 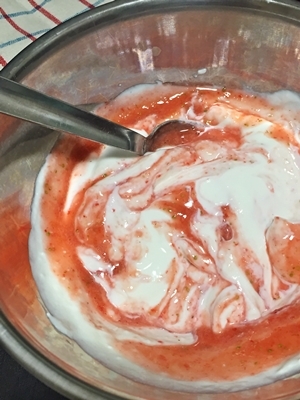 Add strawberry, sugar and lemon juice into the brander and mixing well. ※Add 1 TBSP white wine or brandy, If you like it. 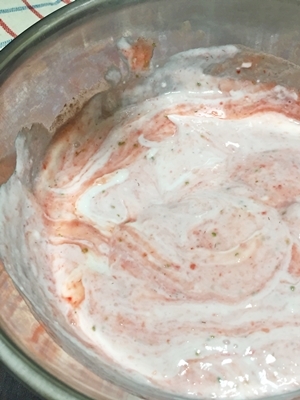 pour the strawberry puree into the Greek yogurt little by little two to three times. 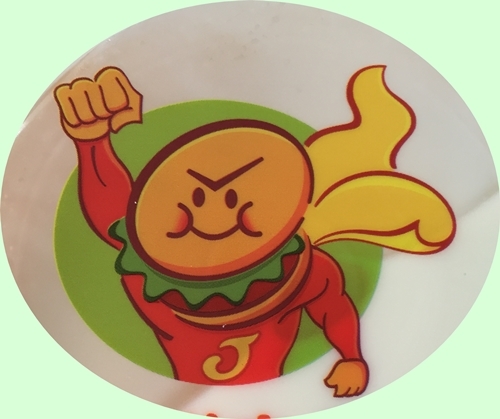 ベトナム風手作りヨーグルト その② Vietnamese yogurt II without a whole milk.